Services are scheduled for 1:30 p.m. Tuesday, Jan. 24, at Christ Community Fellowship Church in Capitan for Riley Smith of Capitan. 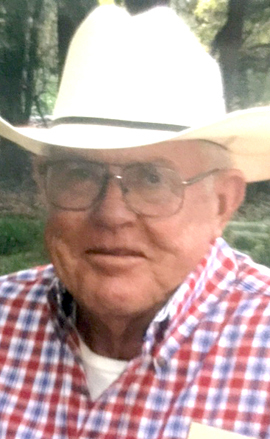 Smith, 81, passed away Friday, Jan. 20, 2017, in Ruidoso. Interment will follow the services at the Capitan Cemetery. Riley was born July 6, 1935, in La Luz to Amanda and Roy Smith. He was raised in Weed. On May 21, 1956, he married Alma McCabe in Lovington. Riley was a past president of the Eddy County Fair Board and was a strong supporter of Eddy County FFA and 4-H. He moved from Artesia to Lincoln County in 1997 and attended Christ Community Fellowship Church in Capitan. Survivors include his wife, Alma; children Bobby Smith of Capitan, Juhree Cope of Carlsbad, and Gene Smith of Artesia; 14 grandchildren; and eight great-grandchildren. Memorial contributions may be made to the local fair board. Arrangements are under the direction of LaGrone Funeral Chapel of Ruidoso. Condolences may be expressed online at www.lagroneruidoso.com.